Dr Hannah Bowers, Research Fellow, Primary Care and Population Sciences, Faculty of Medicine, University of Southampton. 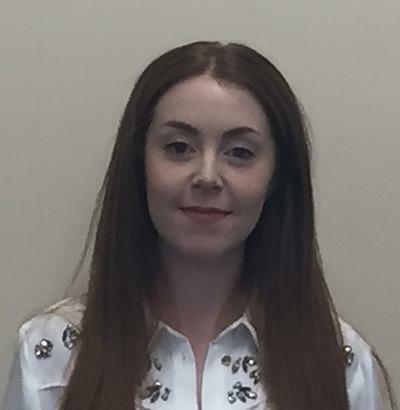 Hannah works as a research fellow for Primary Care and Population Sciences. She is currently working on REDUCE, helping develop a web-based intervention to support patients withdrawing from long-term antidepressant use. Hannah completed her PhD at Royal Holloway, investigating the role of emotional suppression and beliefs about the unacceptability of experiencing and expressing emotions in persistent physical symptoms. During this time, Hannah conducted research with participants with irritable bowel syndrome and fibromyalgia. As part of her PhD, Hannah developed a brief group intervention for irritable bowel syndrome. Hannah is now working on the REDUCE programme developing a web-based intervention to support patients who are withdrawing from long-term antidepressant use. For her PhD, Hannah investigated the role of beliefs about the unacceptability of emotions and emotional suppression in persistent physical symptoms, with a specific focus on irritable bowel syndrome and fibromyalgia. Hannah’s interests lie in management of long-term conditions, with past research looking at irritable bowel syndrome, fibromyalgia and chronic headache. In particular she is interested in managing distress in relation to cognitive behavioural, acceptance and commitment and mindfulness based interventions. Due to her interest in intervention development, Hannah is now working on the REDUCE programme which aims to develop an intervention to support patients as they withdraw from long-term antidepressant use.